A Brand New Residential Development, Second Line Beach. Just 100 metres from the beach, made up of 90 homes with superior fittings and finishes, and cutting-edge design. The homes enjoy stunning views over the sea to the horizon from their terraces and spacious glass-walled areas. There are 1, 2 and 3-bedroom, modern, apartments and penthouses whose modern construction uses clean minimalist lines and a layout open to the light and outdoors. 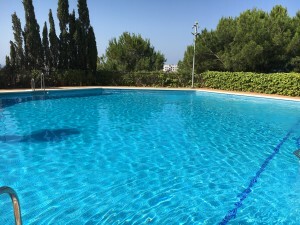 This new development enjoys a location well-known for its fine climate, typically Mediterranean with pleasant temperatures all year round, its kilometres of beaches and proximity to many golf courses. Benalmádena and Torrequebrada boast more than 8km of coastline: some of it rocky with small bays and cliffs that form the start of the Sierra de Mijas mountains as they rise from the sea; others make up the 16 long fine sandy beaches, yours to enjoy at any time of the year. La Costa del Sol has a complete network of communications in which Benalmádena is the center. 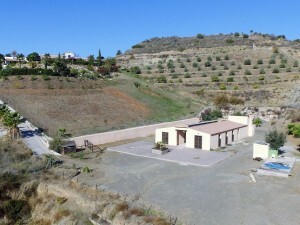 As well as the road network, there?s a local train line and a ferry service to Malaga city, just 20km away. 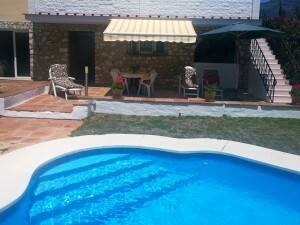 Malaga Airport is 14km away and Marbella 40km. The residential development has spacious communal areas, beautiful gardens and manicured green areas that flow towards the sea. The exclusive area for all the family includes a solarium and pools for adults and children. homes is via video-door phone and code access. The development also offers superior quality design materials and high-end fittings in all homes. Large glass walls that rise from floor to ceiling open up to join kitchen and living spaces with outside terraces. Special thermo acoustic glass insulates the interior to perfection. Top quality large porcelain tiles cover all floors, non-slip in the bathrooms and kitchen, also with wall tiles by leading international brands. Lacquered wooden doors reach full height. The designer bathrooms come with marble tops and best brand vanities. The kitchens have top range appliances, quartz counter tops and provide plenty of storage in their wall and floor units. All homes have hot and cold air-conditioning throughout, fitted wardrobe units (all lined) and full installation of home automation and connections for telephone, internet and television.